Most of the world views Israel through the eyes of CNN, Fox News, NBC, BBC, or other secular news agencies. Have you ever noticed that most news is negative? When we hear the news in our own country, we balance the negativity with our knowledge of all that is good in our country; but when we hear only the negative about other countries, we tend to see that country in an unbalanced manner. Prejudice can be the result. After moving to Israel and meeting people from around the world, I became aware of latent prejudices I had, which stemmed from only hearing negative things. This is the way most people in the world think about Israel. They may have no real interest, never met an Israeli, and never visited Israel; but they probably have an opinion, and it is probably negative and only a small part of the whole story. At Bridges for Peace, we are well aware of this phenomenon and want to tell the other side of Israel’s story, as we communicate God’s glorious plans for Israel and the Jewish people and help Christians understand their Hebraic roots. 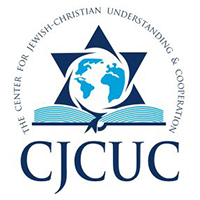 We seek to build bridges of understanding between the Christian and Jewish communities, beginning a process of healing ancient wounds and misunderstanding that have long endured between our faith communities. One of the ways we have done this is by educating Christians about the Hebraic roots of Christianity, the value of interpreting the Bible from a Hebraic perspective, and God’s plan for the nation and people of Israel as seen in the prophetic Scriptures. We have been blessed to be part of the fulfillment of the Scripture, which says, “The Law will go forth from Zion and the Word of the Lord from Jerusalem” (Isaiah 2:3, NASB). The monthly in-depth studies of the Israel Teaching Letter bring to light the fuller meanings of biblical concepts from the Hebraic roots of Scripture for Christian readers. Read the enclosed article by Cheryl Hauer, Deputy National Director in the United States, to understand the importance of us, as Christians, understanding the Word of God Hebraically. Our weekly email publication brings you the most important stories of the week with prayer focus and appropriate Scriptures. It gives prayer groups and individuals the knowledge to allow them to pray specifically for Israel’s needs and to cooperate in prayer with God’s eternal plans for Israel and the Jewish people (Isaiah 62:6). Ron Ross, the radio voice of Bridges for Peace, brings up-to-the-minute insights about Israel with news, interviews, and teaching––broadcast from Jerusalem to radio stations around the world. You can listen on the Bridges for Peace Web site. Currently, the radio program is airing on over 400 stations in the Pacific. In June, we plan to launch it in the United States. Helping Christians understand God’s Word Hebraically is important to us. Hundreds of thousands of Christians visit Israel each year, to visit the places where Jesus walked. The Land of the Bible Experience will be a place they can come to gain greater biblical insight. 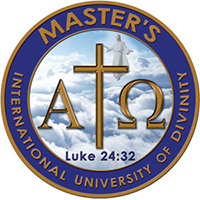 We will present the Hebraic way of thinking, teaching, and interpreting the Scripture through biblical models that can be experienced in tangible hands-on demonstrations; as well as encouraging support of Israel and creating a hunger to know more about God’s commitment to the people and nation of Israel. We are in the process of developing our site in downtown Jerusalem for this new, exciting teaching center. Phase one will be completed by March 2006, featuring a biblical style meal, where the elements of the Last Supper come to life for guests by eating biblical foods in an authentic atmosphere. A well-stocked bookstore with many resources for the Christian, who wants to better understand the Bible, will be on the premises. Phase two will incorporate biblical imagery, including such items as a threshing floor, olive press, and watchtower. It is slated for completion by March 2007. Through these publications and tools, we are reaching out and touching people around the globe. We encourage you to read, explore the Web site, and sign up for the email update service. If you have friends who are interested in Israel, please tell them about the work of Bridges for Peace. Write to us and let us know your thoughts and how we can serve you better. As with everything, there are costs to these educational programs and publications. Will you help us? For only US $60, you can sponsor a pastor’s attendance at a Pastor’s Forum. This small investment could reap a great reward, as the pastor goes on to communicate the love God has for Israel to his whole congregation. The Land of the Bible Experience will significantly expand our ability to touch Christians visiting Israel. You might ask why you should support Christians learning, when you are more interested in supporting Israel. The fact is that we need to increase the number of Christians who understand the importance of Israel and the Hebraic roots of our faith. It is our passion to build bridges between the Christian and Jewish worlds. As more Christians become involved, we will see an exponential growth in changed attitudes towards Christians among the Jewish people. This will also increase the amount of contributions given to support Israel. Your financial support will help us build this center. If you would like to sponsor an individual exhibit, we would love to talk to you. Write for more details. Help sponsor the Israel Mosaic radio program in your nation. Any size donation appreciated. Sending our publications costs about US $25 a person per year. Please help us defray this cost. In this prophetic day, it is exhilarating to be a part of what God is doing to reconnect His Church to His covenant people and to His Land, Israel. Join us today with your support and prayer.